Questions, comments, suggestions? We would love to hear from you. This scent masking soap for the serious hunter will get you on your way to that trophy animal 🦌 that has been eluding you for what seems like forever! This soap is also great for fisherman who want to mask the human scent and get that Keeper! Customers say the lather is amazing and rinses clean without leaving sticky residue behind (something that can occasionally be an issue with anise soaps). Ingredients: Olive oil, Coconut oil, Distilled water, Sustainable Palm oil, Sodium hydroxide, Castor oil, therapeutic grade Anise Essential oil, Shea butter, Palm kernel oil. Rounds are being discontinued from the ManSoap line. Clearance priced at only $3.50! A fresh and invigorating manly shower soap! 🧖🏽‍♂️ Use it head to toe, just keep it away from eyes. This has a great spearmint scent, the patchouli doesn't overwhelm, it just adds a masculine musk! 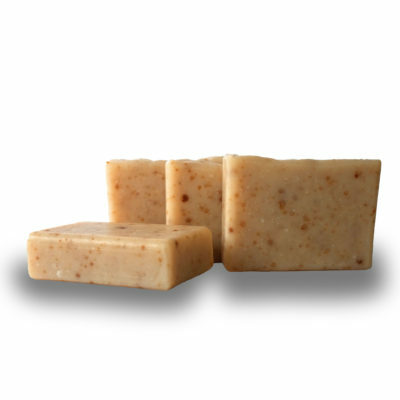 This soap lathers well and, like all of our soaps, cleans without drying out your skin. Men will love this soap! Ingredients: Olive oil, Coconut oil, Distilled water, Sustainable Palm oil, Sodium hydroxide, Shea butter, therapeutic grade Spearmint & Patchouli Essential oils, Castor oil, Palm Kernel flakes, Silk. 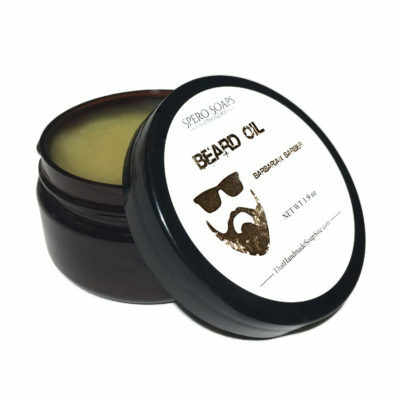 🧔 Similar in formulation to our other hair care, our all natural beard oil has more beard friendly essential oils. Great for softening stiff or coarse beards, this works as a conditioning oil for a healthier beard! And for those married men who like their beard stiff, do it for your wife. 😉 Full of awesome oils like Argan, Abyssinian, Jojoba, Avocado🥑, Tamanu and Rosehip🌹, and Natural Butters, your going to love it! Lotion Alternative- Better for your skin! Literally... moisten your elbows, 💪 but also your hands and knees... anywhere dryness is a problem with this Buttery Soft lotion alternative that has a Shea and Peach kernel oil base🍑, with Meadowfoam, Jojoba and Rosehip oil🌹for moisture and smoothness! This is an extremely concentrated "lotion", it just takes a dab, so the jar will last a long time! 😲 We burn wood for heat in our home, so our home, and thus our skin is extra dry in the winter. This product was the result of months of testing and formulating, aimed at overly dry skin! We were the first guinea pigs, and after we went months with smooth hands we passed it on to our testers, who also had fabulous results! This lotion alternative is very luxurious! Please Note: Elbow Grease contains Menthol. If you would like a Buttery Soft lotion alternative without Menthol, try our Seaside Spa. Ingredients: Peach Kernel Oil, Shea butter, Cherry Kernel oil, Beeswax, Extra Virgin Organic Coconut oil, Meadowfoam oil, Mango Butter, Jojoba oil, Dead Sea clay, Rosehip oil, Essential oils, Menthol, Natural Vitamin E, Rosemary oleoresin(ROE). Use our search bar to search your favorite ingredient and find out what we use it in!